Back in November, the SQL Server team witnessed an outpouring of support for the #SQLFamily meme started by Thomas LaRock (aka @SQLRockstar) and Karen Lopez (@datachick). For an installment of SQL Rockstar’s “Meme Monday,” they asked the SQL community to share the meaning behind #SQLFamily. The responses were heartwarming and painted a picture of a passionate community who help and support each other both professionally and personally, as well as share a laugh and pint (or two) when they get together. The SQL Server team would like to do a little something to help recognize all of you who make the #SQLFamily amazing. 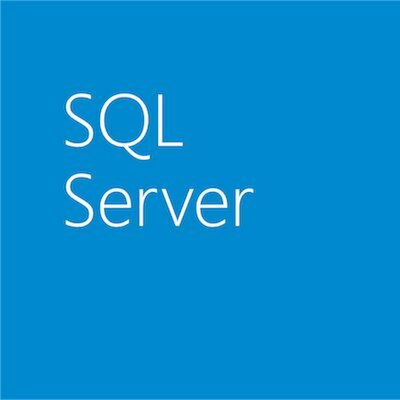 Did you ask a question of the #sqlhelp hashtag at 1am and get an answer in 5 minutes? Did a member of the #SQLFamily take time out of their day to help you debug something you just couldn’t figure out? We just learned about the Pragmatic Works Foundation, a non-profit that provides free technical training to veterans, the jobless, and underemployed. In 2012 the foundation will be embarking on a campaign to bring better jobs for returning veterans. The classes will be taught at military base hotspots around the United States and will primarily focus on introductory technical training for SQL Server and soft skill training and interview guidance. At the end of the class, job placement assistance is given to help the veterans find jobs. The cost to train each veteran for a week is approximately $50. So, for the first 400 submissions*, the SQL Server team will donate $50 per submission to the Pragmatic Works Foundation. You can submit your #SQLFamily stories to sqlfamilysubmission@live.com, along with your name and email address. Or, send us a link to your blog or your Twitter handle if you post your story online. We will feature a selection of submitted stories weekly on this blog into the New Year. Lastly, if this giving “campaign” is well received by the #SQLFamily, we’d like to do this again to celebrate SQL Server 2012 RTM. If you would like to see us do this again, we are now accepting suggestions for charitable organizations that you are familiar with that could benefit from a donation. We may select one or more charities based on their charter, use of Microsoft Technology, and history of impact, as well as eligibility to receive Microsoft donations. Charitable organization suggestions can also be sent to sqlfamilysubmission@live.com, but of course we can’t guarantee that your submission will be selected. * Microsoft will donate $50 per qualified story, up to $20,000, to Pragmatic Works Foundation during this promotion. To qualify, the story must be truthful and relevant to the theme. This offer ends December 31st, 2011 or when 400 qualified stories are received. Microsoft reserves the right to alter or cancel this offer at any time. Limit one submission per person and email address. By sending your story to sqlfamilysubmission@live.com you agree that Microsoft may read, share, modify and post your story on the SQL Server team blog and identify you as the writer by first initial and last name or as anonymous. When submitting their story, senders may indicate that they wish their story to be anonymous if published on this blog. The names and email addresses submitted will not be used for any other purpose. Microsoft is not responsible for verifying the validity of submissions. Microsoft is not responsible for the content of public commentary about this offer. Any other inquiries about this offer should be directed to sqlfamilysubmission@live.com.